Pottstown, Pa. (August 16, 2012) –TriCounty Community Network (TCN), a nonprofit organization dedicated to improving health, social and environmental conditions in Western Montgomery, Northern Chester and Eastern Berks counties in Pennsylvania, today announced its Build Up Youth program has received a donation from Susquehanna Bank’s Pottstown Office. 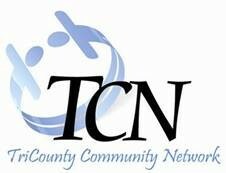 The donation will help support TCN’s Build Up Youth leadership development program for middle school students. The program includes an annual Youth Leadership Conference and a school-based leadership project. Through its efforts, the Build Up Youth program focuses on issues ranging from cyber bullying, drug & alcohol awareness, financial literacy, and entrepreneurship to safe dating, safe social networking, and protecting the environment. Mr. Fetterman, a Harvard graduate with a master’s degree in public policy, was placed in AmeriCorps service by the Greater Pittsburgh Literacy Council. He moved to Braddock in 2001 to do the AmeriCorps work. Four years later he became the town’s mayor — winning the election by a single vote — and has been at the forefront of a massive effort to revitalize the once-prosperous town ever since. Lancaster Airport soon will begin offering regularly scheduled flights to Dulles International Airport but not to Orlando, it was announced today. Sun Air has won U.S. Department of Transportation approval to provide service to Dulles, supported by a federal Essential Air Service subsidy. Sun Air aims to begin service here Oct. 15, succeeding Cape Air, which has provided daily flights to Baltimore-Washington International since 2009. Cape Air announced earlier this year it would pull out of Lancaster as soon as a successor could be found. ST. LOUIS – A deepening drought in the nation’s farm states has cut further into this fall’s harvest, with farmers now expected to pull from their fields the lowest corn yield in more than a decade. But American farmers are still expected to produce their eighth-largest harvest ever, and while there’s sure to be a rise in prices at the grocery stores, there’s little risk of a failed harvest that would lead to shortages on the shelves. The U.S. Agriculture Department predicted the nation’s biggest harvest ever in the spring, when farmers planted 96.4 million acres of corn – the most since 1937. But it cut its estimate a month ago and again Friday, saying it now expects the nation to produce 10.8 billion bushels, the least since 2006.